The Burt Memorial Hall stands as an important historic symbol of Perth’s Burt family, who played a significant role in the government of the Swan River Colony when it was first established. Archibald Burt came half way round the world to be the first Chief Justice of Western Australia, and earn a reputation for fair dealing with the indigenous peoples. Of the three sons who came with Archibald in 1861, Septimus became the State’s first Attorney General. More recently, Archibald’s great-grandson, Sir Francis Burt, was Judge of the Supreme Court from 1969–77, Chief Justice from 1977–88, Lieutenant Governor of Western Australia from 1977–90 and Governor from 1990–93. Tragically, Septimus lost two sons in the Great War. 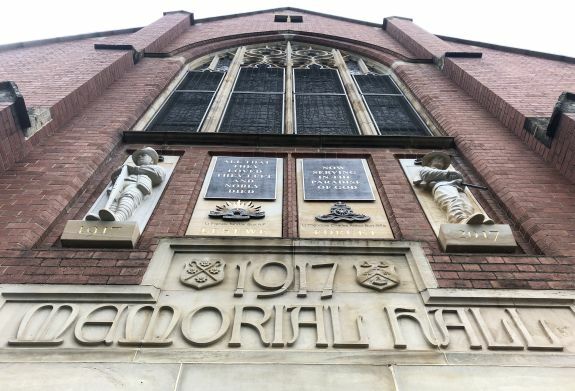 When Theodore Burt was killed at Montauban in 1916 his father built the Burt Memorial Hall as a memorial to his son. The Foundation stone on the south west corner of the building was laid by Lord Forrest on 26 October 1917. A year later, Francis Burt was killed at Villers-Bretonneux. A memorial tablet of Donnybrook stone and Australian marble is mounted on the wall of the staircase well near the main entrance. The Burt Memorial Hall is a superb example of a community building constructed in the Gothic Revival style. 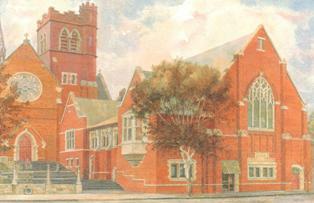 It was designed by Mr Herbert Parry, son of the second Bishop of Perth. Worked into the fabric on the south side of the building facing St Georges Terrace are the Arms of the Diocese of Perth and the Burt family crest. In 1922 a magnificent stained glass window depicting the Four Virtues was incorporated into this side of the building in memory of Septimus by his wife, Louisa. It consists of four large panels with figures representing the virtues of Justice, Prudence, Temperance and Fortitude. Beneath these panels are the Coats of Arms of the United Kingdom and Australia together with the Diocesan Arms of Canterbury and Perth. 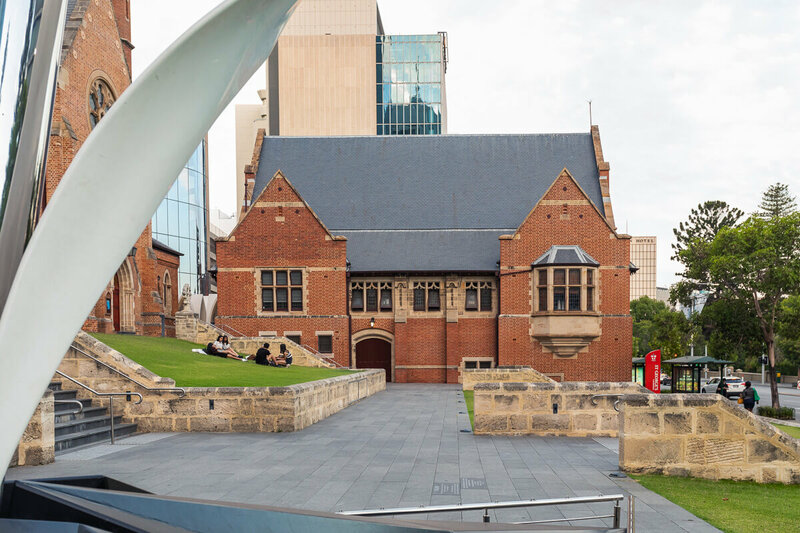 The Hall’s position abutting St Georges Terrace increases its significance as a community facility. The lower dining room was used as a soup kitchen during the Great Depression of the 1930s. In World War II, it was used to house Dutch refugees fleeing from Indonesia (Dutch East Indies) and to provide meals to returned servicemen. In May 1979 a fire in one of the rooms beneath the Hall caused extensive damage to valuable equipment, books, furnishings and other effects. The fire also burnt the floor of the main Hall, which had to be replaced. From 2012 to 2014, a new roof was added and a complete refurbishment undertaken as part of the Cathedral Restoration Project. 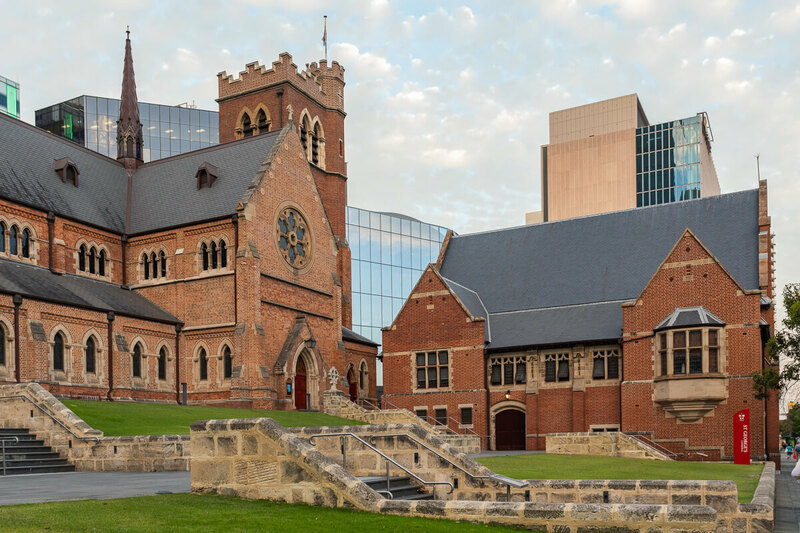 The restored building was reopened and rededicated at Evensong on Sunday 20 July 2014. On 17 May 2017, Governor-General Sir Peter Cosgrove unveiled two statues, commissioned by the Burt family and created by local Afghan-born sculptor Mehdi Rasulle, to mark the 100th anniversary of the Hall. The Donnybrook sandstone statues were later installed as part of a frieze on the southern wall of the building. 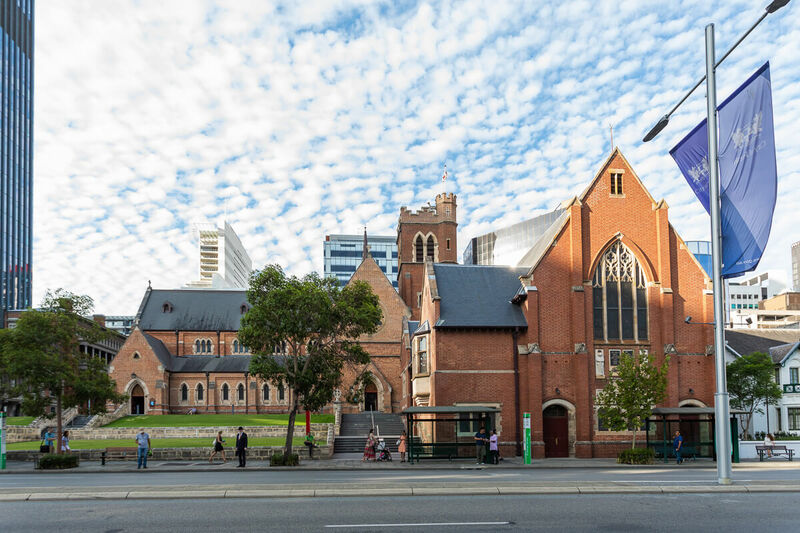 The Burt Memorial Hall is currently used for a variety of Cathedral and Diocesan functions, receptions, workshops, educational visits and exhibitions.